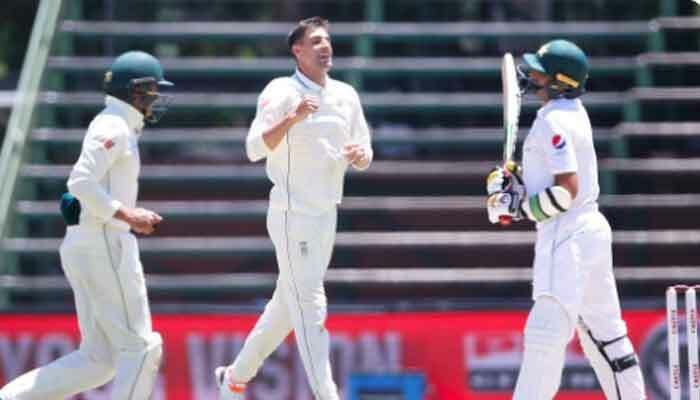 JOHANNESBURG: -Duanne Olivier took his third five-wicket haul of the series as South Africa gained a 77-run first innings lead on the second day of the third and final Test against Pakistan at the Wanderers Stadium on Saturday. Olivier was twice involved in crucial breakthroughs in Pakistan´s innings. Olivier started the series as South Africa´s fifth-choice fast bowler but played in the first Test in Centurion because of injuries to Vernon Philander and Lungi Ngidi. He had match figures of 11 for 96, prompting South Africa to opt for a four-man pace attack when Philander returned for the second Test.